The Slocan Valley community of Passmore has a confusing naming history, including two or three possible namesakes. May. 15, 2016 7:00 p.m. The old Passmore railway siding sign was tacked to the side of the Carson store in the early 2000s. Although no reason was given, the change took effect on May 1 of that year. 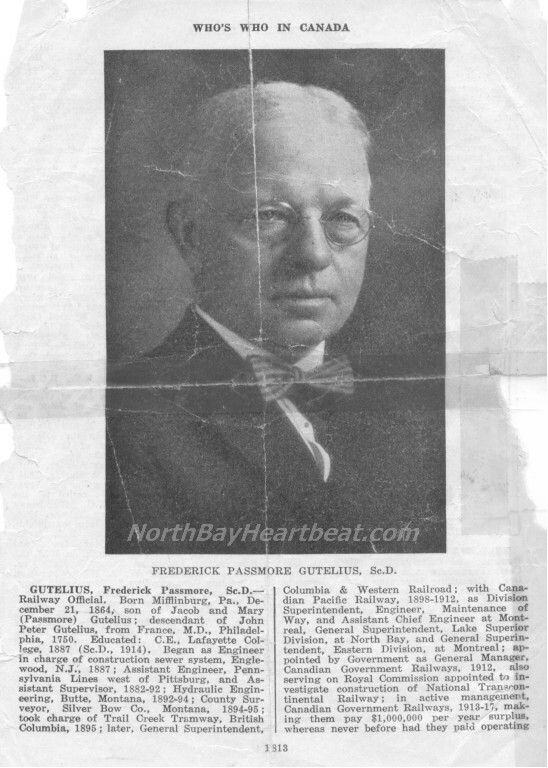 The Daily News of June 18, 1913 further announced: “The Canadian Pacific Railway station heretofore known as Gutelius has been renamed Passmore.” That name change became official on Dec. 1. So we have the odd situation where the Gutelius post office became Slocan Park but the Gutelius railway siding became Passmore (today they’re considered separate places). Why change the name at all? Around 1911, Thomas Passmore (or Pasmore) came from Ontario to Applegrove, where he had a fruit ranch and poultry farm. According to Just Where is Edgewood, his family moved to Nelson about 1920, but there’s no indication they ever lived in the Slocan Valley. Richard C. Passmore (1859-fl. 1911) was listed in the 1910 civic directory as a Tarrys fruit grower and on the 1911 census as a rancher at Shoreacres. He lent his name to a railway siding, which in April 1911 was renamed Glade. Glade Creek was also formerly known as Passmore Creek. Might the CPR have honoured him a second time? Ewen McFadyen (1868-?) and wife Grace (1875-?) began ranching in the vicinity about 1903 and were listed on the 1911 census as Gutelius residents. The 1910 civic directory lists Ewen A. McFadyen as a farmer at Gutelius, Ewen McFayden as a rancher at Slocan City, and E. McFadden as a fruit grower at Koch Siding — all probably the same guy. Ewen McFadyen was also founding postmaster at Vallican, serving from October 1916 to April 1917.